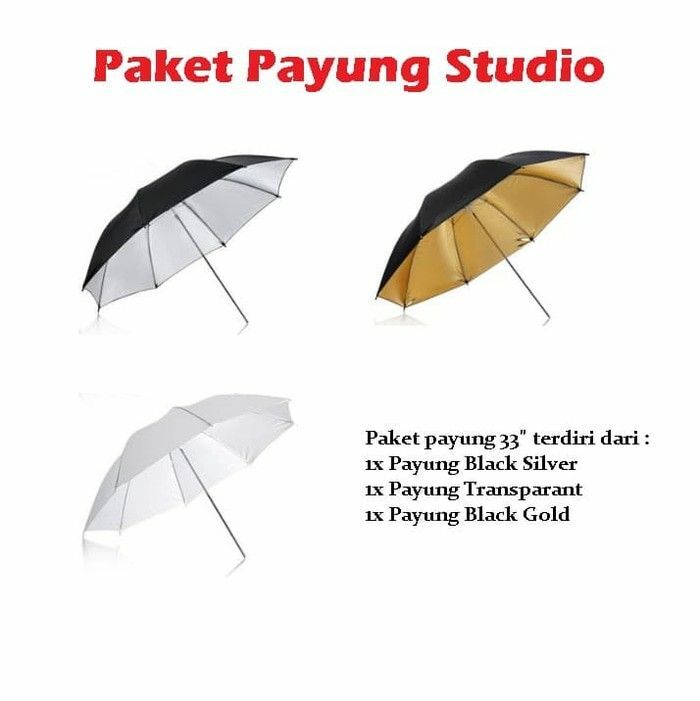 >FUNGSI Payung Hitam Silver Diffuser Flash Lighting Studio 33"
Memantulkan cahaya Flash / lighting studio polos , mengurangi kontras dan membantu untuk mengurangi bayangan latar belakang keras. Dengan itu Anda dapat mengambil foto lebih indah. Black externally, silver internally. The silver internal lining can minimize light loss while maximizing light spread. 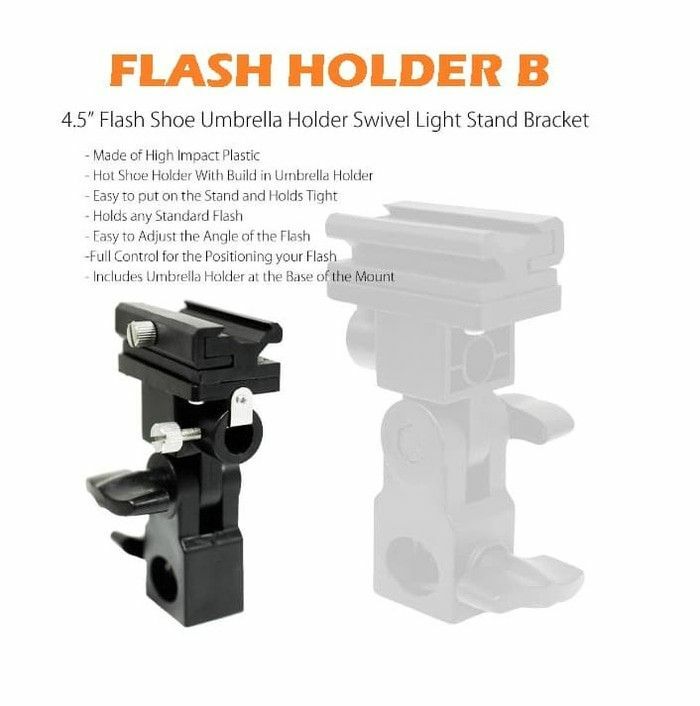 It allows about 50% transmission of light to provide a side, even, and soft illumination. 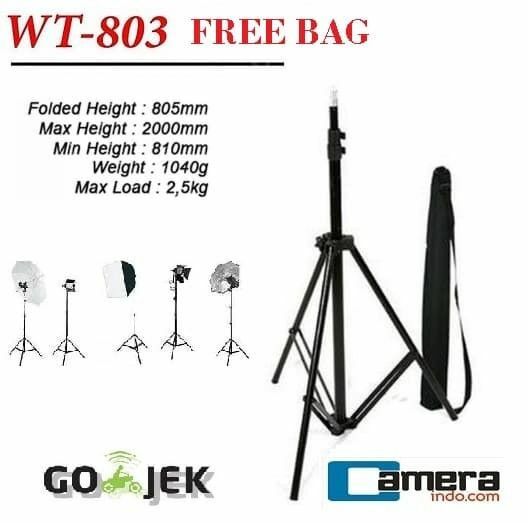 Its light weight, ease to use and assemble makes it be ideal for both portraits and group shots or shooting on large objects. 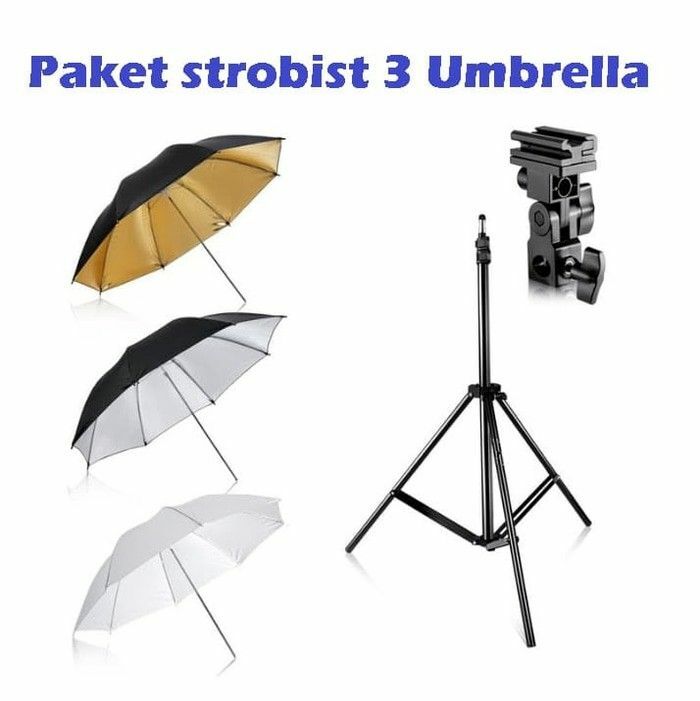 It bring your a perfect experience on shooting with studio flash.